Slim sight lines maximise the glazed area and the system offers both profiled and traditional flat sections. These windows are ideal replacements for steel windows and can closely resemble the product being replaced thus retaining much of the character of the property. Thermal Insulation is achieved with a high-strength polyamide thermal barrier, to minimise heat loss and to help prevent condensation on the internal surfaces. 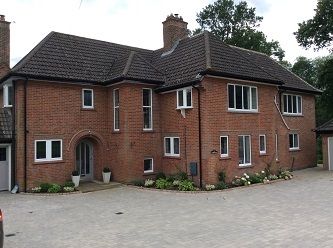 All casement windows and doors are polyester powder coated to BS 649 and conform to the requirements of document L of the Building Regulations. To compliment our exclusive range we offer an extensive collection of window and door locking handles covered by our Fully Comprehensive Ten-Year Guarantee.